The Aquarium in Miniature | Just Shooting Memories! I have had a great time looking back through old photos that I have taken and seeing if they have potential for some Tilt Shift faking. I ran across this one from one of my trips to Chattanooga. 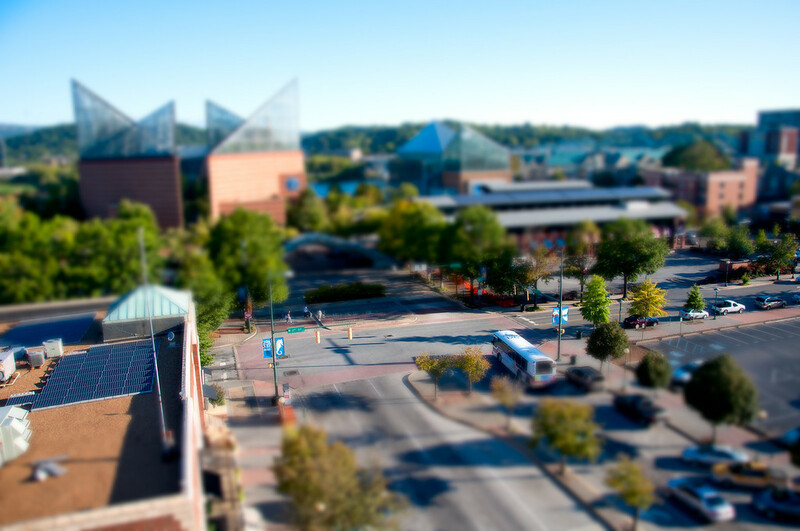 I’m thinking I may make a new series of photos just for Tilt Shift. I think I may make a trip to downtown Atlanta soon. If anyone would like to go, let me know.